Exercise, what is it good for? Exercise, what is it good for? A lot of things. 150 minutes of moderate activity: that’s the recommended amount of exercise for 18 – 64 year-olds. But don’t panic! This isn’t per day, it’s over a week. Guidelines suggest splitting the 150 minutes into 5 x 30 minutes sessions, and these can then be split into 3 x 10 minute sessions of moderate activity per day. Alternatively, if you want to work a bit harder, the guidance is 75 minutes of vigorous/hard exertion activity per week. It’s also recommended that we strength train twice a week, but this doesn’t mean you have to be down the gym pumping iron, but lifting reasonably heavy objects with good technique. This can simply be body weight exercises – squats, press ups, lunges. These types of exercises help maintain our muscle mass, strengthen our bones and helps reduce trips and falls. It’s likely you’re already doing strength training. We’re always lifting bags in and out of the car, picking up our children and grandchildren, moving things around in the garden, but these are all forms of strength work. But lifting weights is dangerous, isn’t it? I have heard people say we should not lift weights above 4kg… which is, of course, a load of rubbish. How heavy is a baby between 0 months and 2 years? Heavier than 4kg, that’s for sure. Weights are only dangerous if you don’t do it properly, and with poor technique, so make sure you’re lifting those babies and toddlers carefully! Moderate activities are things like walking fast, cycling on flat ground, gardening. 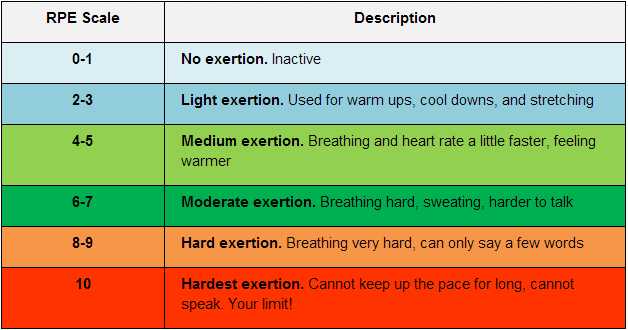 Vigorous/Hard exercise could be walking up a hill, jogging/running, cycling fast/spin class. 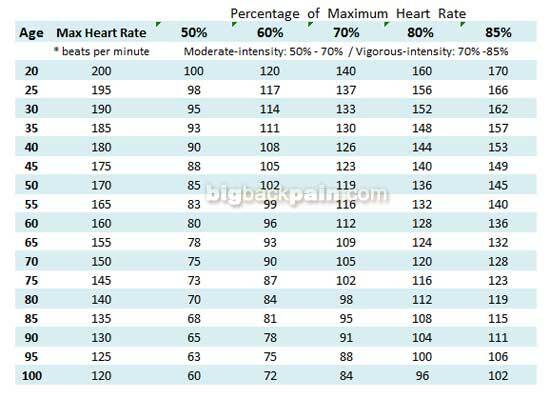 If you’re using a tracker that can monitor your heart rate, moderate activity would be 50-60% of your max heart rate, whilst vigorous exercise would be 70-80% of your max heart rate. The easiest way to work this out is 220-age = max heart rate. The positive benefits of exercise far outweigh any negatives. Why are the guidelines for exercise/activity important? Exercise, whether it is team sports or walking, swimming or strength training all have an important part to play in our life. Exercise is one of, if not the best drug available to us. Why? It helps fight against and prevent so many health issues – if had been designed and manufactured by drug company they would be making a fortune selling wonder pills to all of us! If you’re struggling to fit in 30 minutes of moderate activity daily, be creative. It’s on 2% of the 24 hours that you have in your day, after all. Have a walking meeting, meet at a friend and have a 30 minute walk chatting instead of going for a coffee, get off the bus a stop earlier and walk home. You can do it! Today is World Mental Health day, and exercise can really help if you or a friend is struggling. Think of the 30 minutes as time for some self-care. Encourage your friends to do the same. Be in your mates’ corner – help support and chat to friends and family. Getting out of our usual meeting places can help people open up and talk: that 30 minutes could really make a difference.